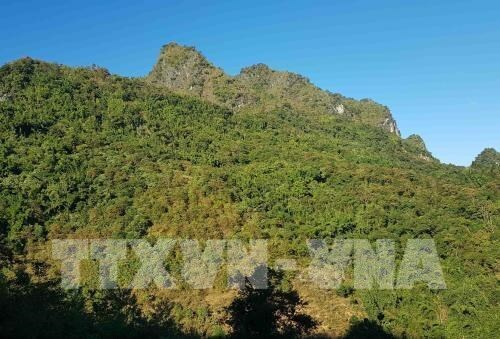 Hanoi (VNA) – Vietnam is home to nearly 14.5 million ha of forest nationwide, announced the Ministry of Agriculture and Rural Development (MARD) on March 29. Of the figure, natural forests span more than 10.25 million ha and planted forests, the rest. The country’s forest coverage currently stands at 41.65 percent. The MARD has ordered the Vietnam Administration of Forestry to establish a database on national forest resources to monitor forest exploitation in each locality. Currently, the nation has 168 special-use forests, including 33 national parks, 59 natural reserve areas, 13 species conservation sites and 54 natural scenic protection sites. Vietnam also has 16 marine conservation sites, with 45 inland water areas and wetlands included in protection planning. Authorities have worked to reduce the number of violations of forest protection and development regulations, as well as shrink the areas of forest lost to deforestation. After three years of implementing the Prime Minister’s directions, an average of 16,980 violation cases have been detected annually across the nation, down 35 percent compared with that of 2011-2015. The area of forests damaged by deforestation is 1,873 ha per year, down 29 percent from the previous period.